Kelly said this in the context of defending the freedom of speech: “Now she’s a provocateur and she’s not a fan of anyone who’s Muslim from the sound of what she says, but this is America and she has the right to say those things. 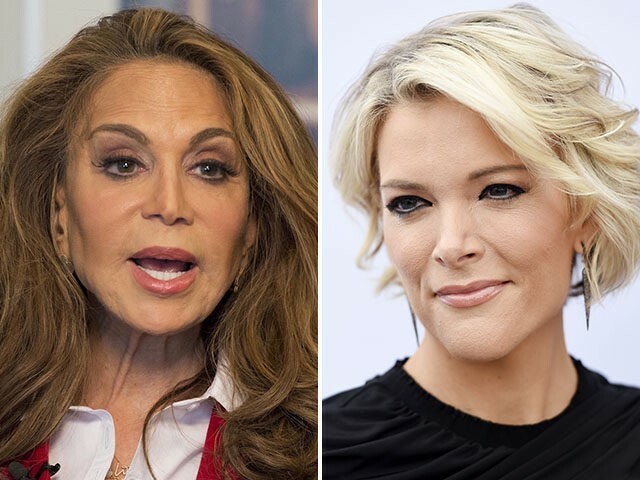 And she has the right to have a contest like that.” But in smearing me as “hateful,” she demonstrates that she doesn’t really know what was at stake when Islamic jihadis attacked our free speech event in Garland. Why am I hateful for standing for the First Amendment? Is she copying the tactics of Islamic propagandists, smearing as “hateful” those of us who refuse to submit to the most brutal and extreme ideology on the face of the earth? And I’m a “provocateur”? Why? The Garland attack was part of a longstanding jihad war against the freedom of speech. Those who say I provoked the jihadis don’t remember, or care to remember, that as jihadis were killing the Muhammad cartoonists in Paris, their accomplice was murdering Jews in a nearby kosher supermarket. Were the Jews “hateful”? Did they “provoke” the jihadis? I held the event in the same venue where Muslim leaders held a conference in support of the sharia, in support of the ideology behind the Charlie Hebdo jihad massacre. Was that provocative? Should we submit to the devout Muslims who use violence to impose the speech laws under the sharia? Drawing Muhammad offends Islamic jihadists? So does being Jewish, as many anti-Semitic attacks have proven. How much accommodation of any kind should we give to murderous savagery? To kowtow to violent intimidation will only encourage more of it. Megyn Kelly should know that. What does Megyn Kelly know about my work as a whole? What did she do to help Rifqa Bary, the Ohio teenager who was threatened with death by her father for converting from Islam to Christianity? What has Megyn Kelly done for the other Muslim girls who wanted to live a free life, and whom I helped to safety? Megyn Kelly has never had me on her show. She covered the jihad attack against our free speech event in Texas for over a week but did not have me on. How does she know what I think, or why I did what I did? She made her “stand” for free speech regarding the Garland jihad attack while excoriating me. The thing about Kelly is that she assumed my mantle and championed my work while attacking and smearing me; that is the hallmark of a true second-hander. Meanwhile, the scallywags, scoundrels, and misanthropes to whom she gives a platform on her show are reprehensible. Kelly has oppressors and terror-tied operatives on her show, including representatives of the Hamas-tied Council on American (CAIR). The lovefest between Megyn Kelly and Michael Moore pulled the curtain back on the RINO news network. It was jarring. Ever since Megyn Kelly got her mancut haircut (emulating iconic female TV personality Diane Sawyer), she has seemingly been on a mission to move to the alphabets (ABC, NBC, CBS). Sadly, Rupert Murdoch’s left-wing sons, Tweedledee and Tweedledum (who took over after Roger Ailes was stupidly forced out) have made complete asses of themselves furiously trying to keep her. They have offered her over 20 million dollars a year. Why? She has alienated the Fox News audience by attacking Trump and shamelessly trying to curry favor with left-wing news executives at the big three. The auction for her services never materialized, and Kelly has kicked it up several notches, making her show unwatchable. The good news? Hannity has skyrocketed, pulling even with her in the ratings and at times surpassing her. I hope her ego gets the better of her and she goes. She will go down with that ship. We saw what happened when FOX gave her a special on the FOX Network. She bombed. Drop Kelly and replace her with Tomi Lahren. Two birds, one stone. We the people get our kind of gal, and the Murdoch idiots get a millennial icon.